This comprehensive core textbook is written by award-winning teacher, accomplished researcher, and experienced therapist, Ron Comer. 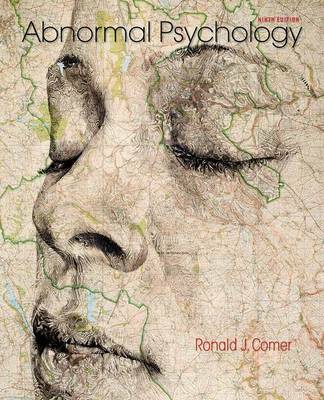 Comer knows how to communicate the complexities of the abnormal psychology, to speak to the concerns of students, and to portray the real human impact of psychological disorders. With its signature integrated coverage of theory, diagnosis, and treatment, and remarkably inclusive cross-cultural perspective, this textbook is widely adopted on abnormal psychology courses and shows students where the study and treatment of psychological disorders stand today. The book can be purchased with the breakthrough online resource, LaunchPad, which offers innovative media content, curated and organised for easy assignability. LaunchPad's intuitive interface presents quizzing, flashcards, animations and much more to make learning actively engaging.